We are glad to introduce you our renovated Feeds Reader. Comparing to the old Reader this one is a beast – more powerful, fast and mobile-friendly! Feeds Reader is the most convenient way to keep and follow your favorite content feeds. That’s why we pay so much attention to this tool. You can create categories for your content feeds depending on their topic, content type, content source or any other parameter. You can mark feeds and articles as read, sort and filter them, use search option, add notes and tags to articles, “star” your favorite articles and even add articles to your own custom feeds. If you are using any other RSS Reader such as Feedly, it’s time to try our new Reader – YOU WILL NOT BE DISAPPOINTED! You can even quickly import your favorite feeds via OPML file. If you have been using our previous Feeds Reader, don’t worry, all your feeds and categories will stay intact. The only change you will see is Incoming category renamed to Uncategorized. 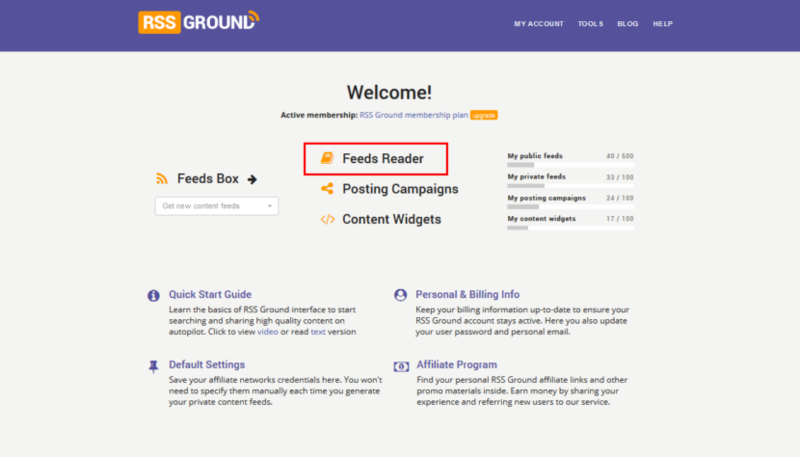 Watch this quick user guide to learn about the new Feeds Reader and its features. If you can’t watch this video, please read the text version.